CAST & Columbia Center for the Arts in Hood River, OR are about to put on their winter play. This year the play is It’s A Wonderful Life! More than just a play, they are trying to recreate the experience of attending a live radio broadcast in the 1940’s.The Hood River News has a pretty cool article about all the work that’s gone into it. Oh, and I did the poster! 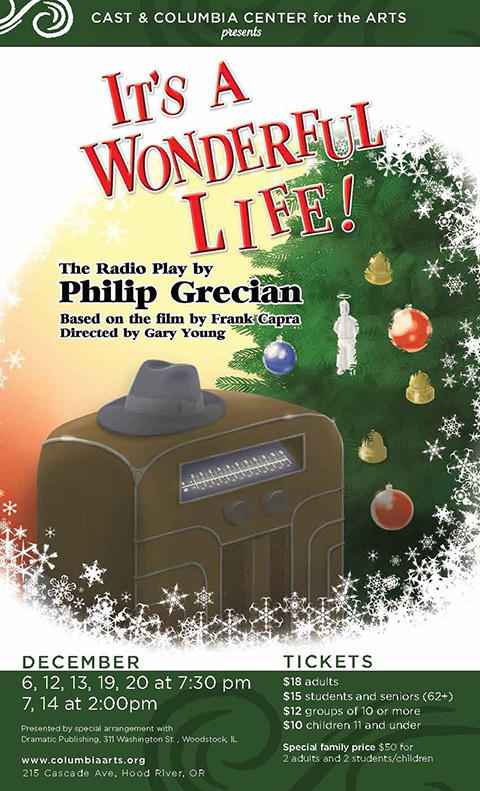 This family-friendly holiday CAST 2014 production will bring new meaning and sounds to the Bedford Falls story of good will and cheer.… KEEP READING! 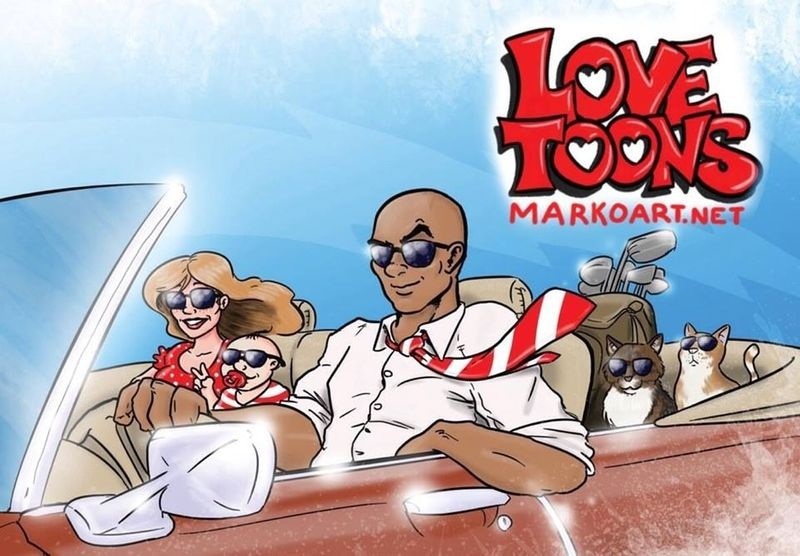 Love Toons – Winter Sale!!! 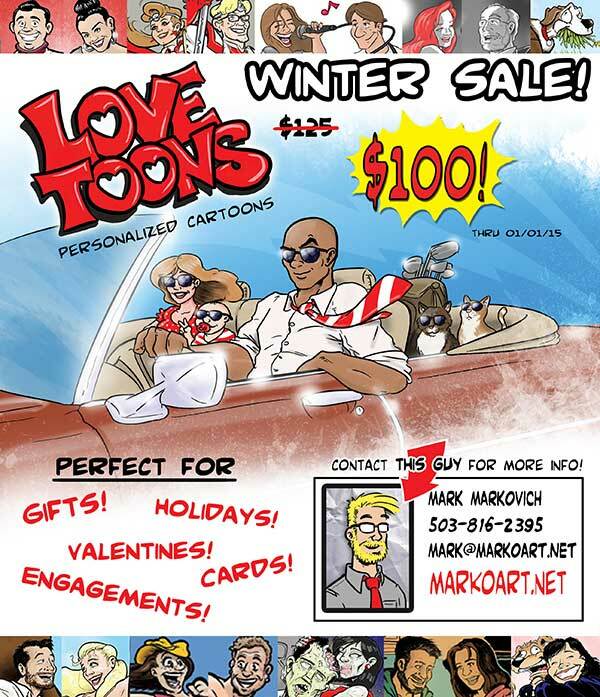 The annual ‘Love Toons’ Winter Sale is back. Save $25 on a unique and personal gift! 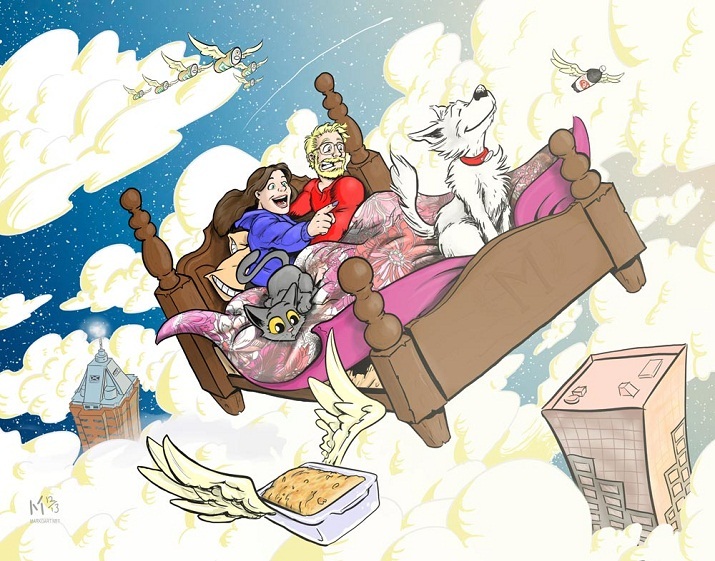 Check out what other Love Toon customers have commissioned! Wow! What an amazing time we live in! 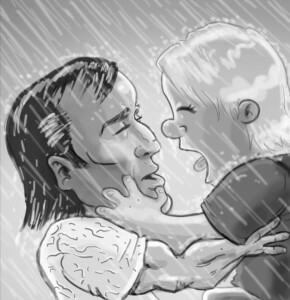 For instance, you can now check out my art on no less than several things with the computer! 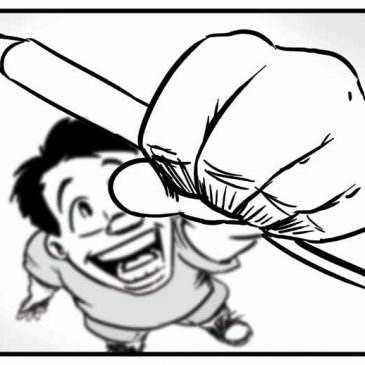 Firstly there is this website, Markoart.net, my home base. Then I am on Tumblr, where I post my art and other things that I like. See? 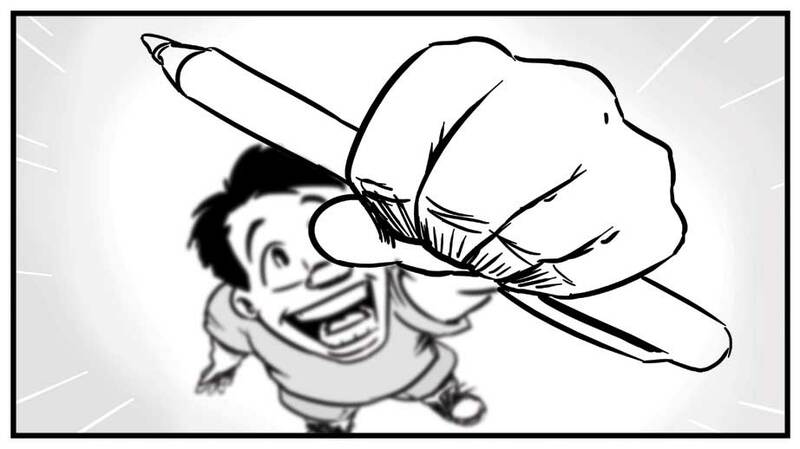 And I am on Twitter, where I “tweet” art and try not to say anything stupid. Come follow me in a non creepy way. My handle is MarkovichMark. I am also on LinkedIn, but you have to sign up if you want to “link” with me or whatever the hell they call it.… KEEP READING! 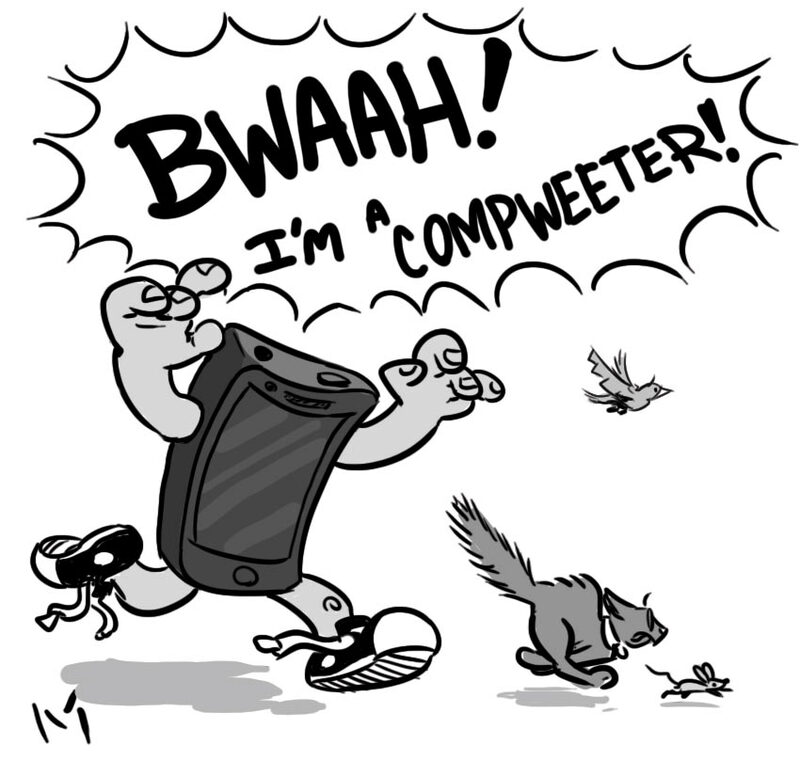 My friend Elinor Jones wrote a web comic, and I drew it! Strange Action/Romance between Nicolas Cage and Nicholas Sparks. Check out the full thing after the jump. Just did another logo, this time for a local metal band called Tyger Fynger. Logos are always fun. I had a lot of freedom with this one and it was a blast. It’ll look great on a drum set or a shirt! Messing around with Procreate again. The new version automatically records a time lapse of your process. I had no idea at the time but it is pretty cool. So here is me playing around with the new version by drawing Mega Man. Not the most dynamic composition but I think it looks ok. I’ve never watched a video of myself drawing and I got a kick out of it so here it is.